Haven’t all of us at some time or the other, wished that we could be in the unreal places that we read in the books and watch in the movies? Haven’t many of us often lost ourselves in thoughts and imagined ourselves in those wonderlands? What if I told you that places like those are quite real? 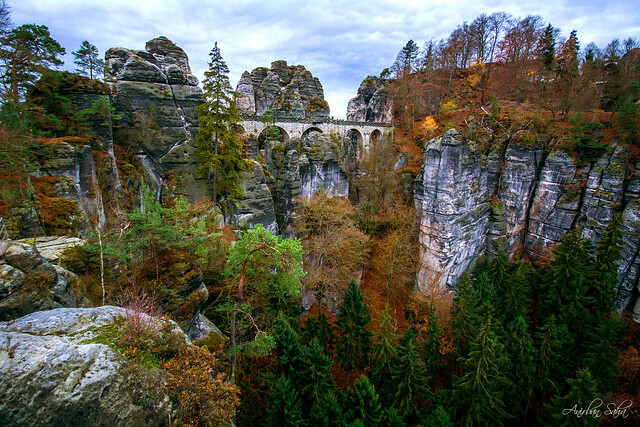 Welcome to Bastei !! 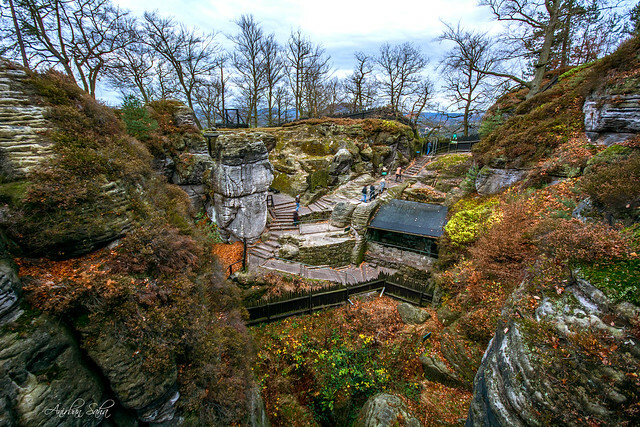 Located in Bad Schandau , East Germany, this mesmerizing place is a gem of the Saxon Switzerland National Park. 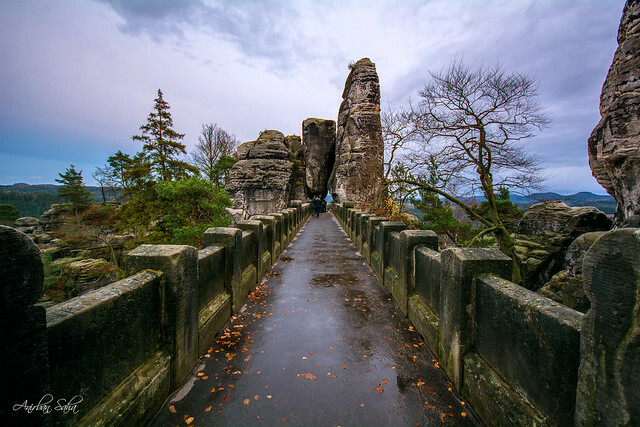 One of the best facts about Bastei is that how easily accessible it is. Unlike lot of other similar locations, there are no hikes needed to reach the place. Once you are there, its just unbelievable views everywhere. 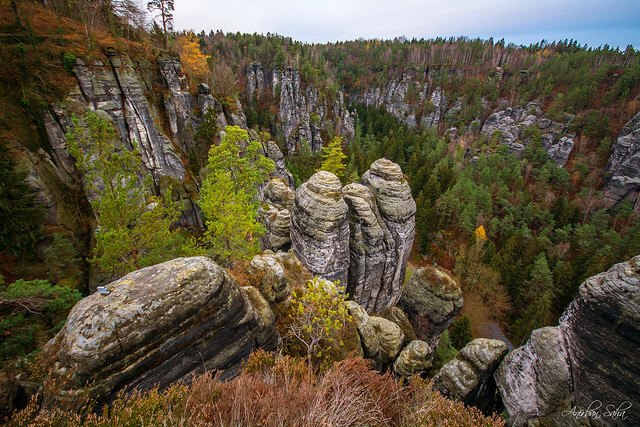 The main attractions of Bastei are the amazing sandstone rock formations believed to be formed by water erosion a million years ago. The rocks along with the fall colors of the wood gave us some unforgettable views. 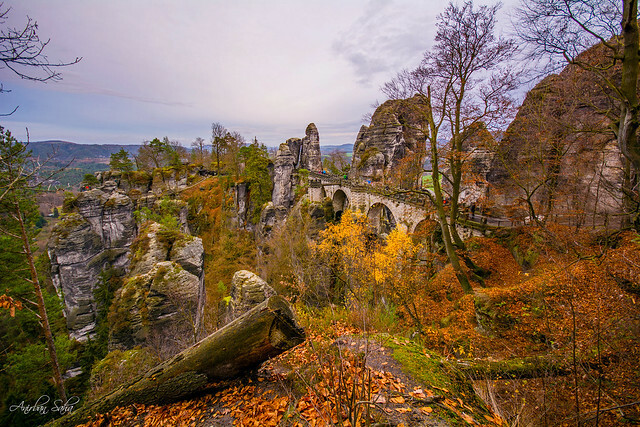 The Bastei bridge, built in the 1850s, is a man-made beauty amidst the natural wonders. The structure and the location of the bridge gives you a fair idea about how much effort was put into building it. Once the bridge is crossed and some more rocks climbed, you get a different view of the place, needless to say that it is equally breathtaking. One can just stand there and wonder if the place is for real. A short walk further takes you to the ruins of Neurathen Castle. Some remnants of the castle can still be viewed such as rooms, a cistern and some broken stairways to mention a few. 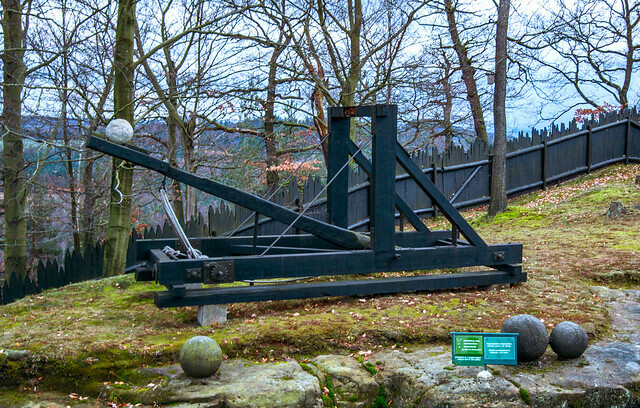 There is a catapult too (although this one is a replica for public viewing). It really adds to the experience of the place. 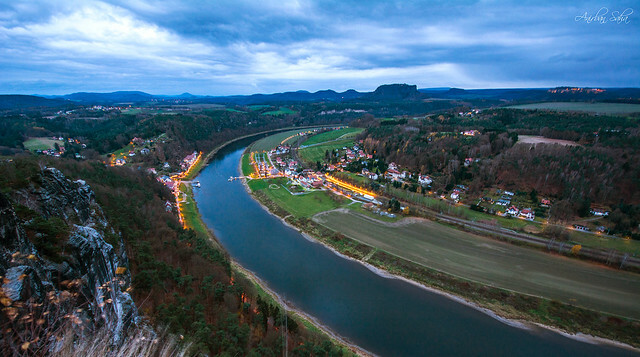 As the dusk set in, on the other side of the rocks, the beautiful Elbe river ran indefinitely, leaving us awestruck. It made us realize one more time as to how beautiful our world is. 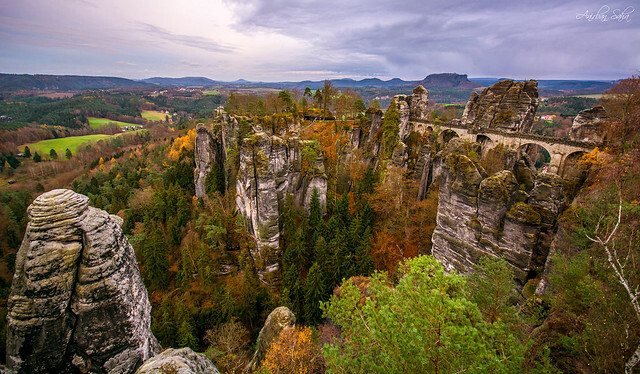 After visiting Bastei, I was convinced that fantasy lands do exist for real. Go check it out for yourself.